At the U.S. Food and Drug Administration (FDA) Tobacco Product Application Review Public Meeting held on Oct. 23, 2018, the agency at the center of an ongoing battle for control with the tobacco industry invited a well-known tobacco industry professional to speak–Drew Newman. Newman is a fourth-generation cigar maker and general counsel at J.C. Newman Cigar Co. and has been an outspoken advocate for premium cigar exemption. Newman addressed the conference on behalf of the premium cigar industry and also fielded questions from the audience about premium cigars and how the industry operates. He explained that premium cigars are an “old-world, handmade craft enjoyed by adults” and that it’s not a science but rather an art steeped in tradition that’s been passed down between generations. 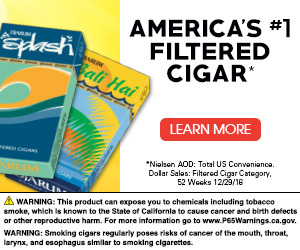 He highlighted recent data and studies that revealed that cigars are primarily smoked by adults and not children as many anti-tobacco groups have attempted to argue. “Our one goal as a family business is to continue my great-grandfather’s legacy and continue hand rolling premium cigars in America for another four generations and 123 years,” Newman explained. Good afternoon, my name is Drew Newman. In 1895, my great-grandfather, J.C. Newman founded our family business. Four generations and 123 years later, we are the oldest, family-owned, premium cigar company in America. My family rolls premium cigars in our historic cigar factory in Tampa, Florida using hand-operated, antique, semi-automated machines. We also roll cigars by hand in Nicaragua. Many of you have visited our cigar factory in the Ybor City National Historic Landmark District in Tampa, but if you haven’t, please come by. My father, uncle, and I would love to show you how we roll premium cigars in America. 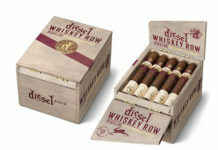 If you are not familiar with premium cigars, they are all natural, handcrafted products. We roll them the same way that my great-grandfather did 100 years ago – the process has literally been the same for a more than a century. We sell our premium cigars to 3,000 specialty retailers across the country. These are mom-and-pop, small family businesses with just a handful of employees. If you’ve never seen how premium cigars are sold, there’s a store called Signature Cigars a half-mile down the road. Premium cigars are just 3% of the cigar industry and just one half of one percent of the tobacco industry as a whole. We are a tiny sliver of the tobacco world. 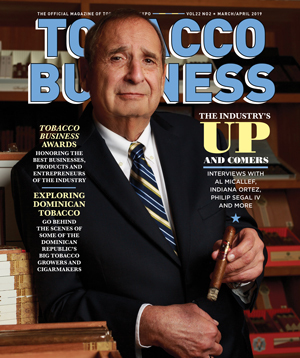 The premium cigar industry is made up of old, family-owned businesses just like ours. When someone asks me about premium cigars, I often compare them to fine wines, because the process is remarkably similar. Just as the soil, sunlight, wind, and rain cause a Merlot grape grown in France to taste different from the same Merlot grape grown in California, the same is true of premium cigar tobacco. As with wines, certain vintages or years are known to be better than others; the same is true with premium cigar tobacco. And just as aging red wines makes them better, the same is true for premium cigars as well. Like old world French winemakers who blend together different grape varietals to create unique tasting wines, as cigar makers, we do the exact same thing with premium cigar tobacco. We harness the natural variation in premium cigar tobaccos to make interesting blends with limited production, low-volume runs, just like winemakers do with grapes. None of this is standardized. None of this is written down. None of this is formulaic. It is not a science. It’s an art, and the tradition has been passed down from generation to generation. 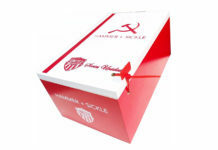 Patterns of use for premium cigars are also distinct from other products. Recent PATH study data show that the typical premium cigar consumer smokes just 1.7 cigars per month; 97% of premium cigar consumers smoke cigars exclusively, and the same 97% smoke fewer than one cigar per day; and there is no statistically significant use of premium cigars by youth. My point here is that premium cigars are an old-world, handmade craft enjoyed by adults. This is why we are very worried about FDA regulation. For example, a year from now our HPHC reports are due, yet no premium cigar company knows what to do. Given that premium cigars come in thousands of shapes and sizes, how are we supposed to test them? What are we testing for? There is no standardized process for testing premium cigars. We are even more worried about SE reports. There are tens of thousands SKUs of premium cigars sold today and no one knows how to file a SE report for them. The guidance we have so far received is completely unworkable for handmade cigars. For this reason, we are very grateful for the agency’s compliance policies – which are giving both the agency and the industry the breathing room to figure out what to do. We are also very grateful that Commissioner Gottlieb, Director Zeller, Dr. Holman, and CTP staff have recognized that there is a broad spectrum of tobacco products and that regulation needs to be tailored to each product category. More work is needed. We continue to need guidance for premium cigars. In conclusion, as the only speaker here at the conference from the premium cigar world, I ask you to please not overlook our traditional, handcrafted segment of the cigar industry – again just 0.5% of the tobacco industry. Premium cigars are very different. If you want to hear more about premium cigars, please let me know. I’d love to talk. My email address is dnewman@jcnewman.com. And please come and visit our historic premium cigar factory in Tampa.” Our one goal as a family business is to continue my great-grandfather’s legacy and continue hand rolling premium cigars in America for another four generations and 123 years. Thank you very much for your attention and I would welcome any questions. 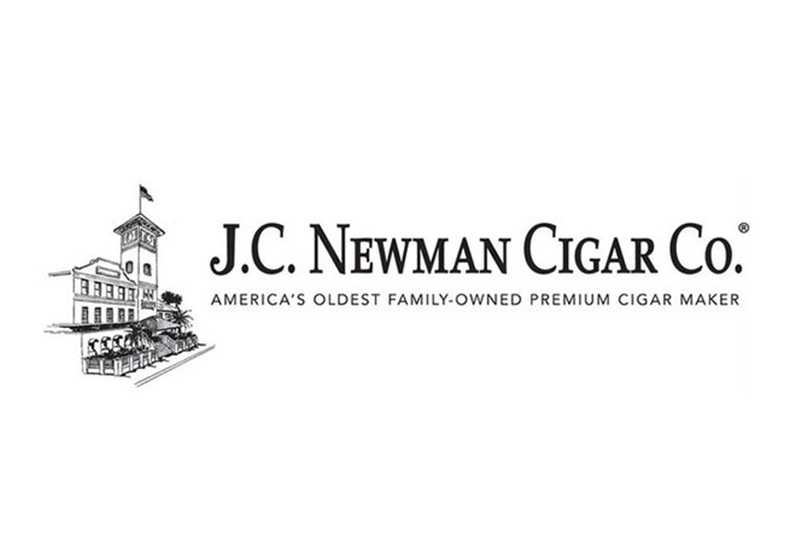 Read more about J.C. Newman Cigar Company by clicking here.